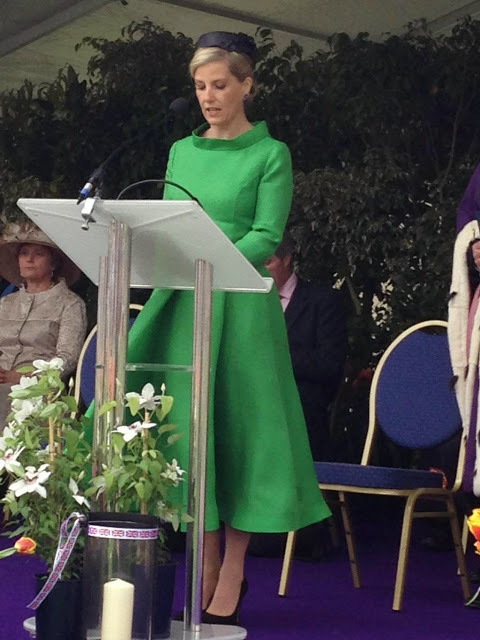 We were absolutely thrilled to have dressed HRH Countess of Wessex on Saturday 9th May. HRH stepped out in Guernsey and Jersey and represented the Queen for the 70th anniversary of the liberation of the Channel Islands. HRH wore a bespoke colourway of the 1950s influenced midi dress. She accessorized the wonderful outfit with black. We made her a silk couture bow belt, and Jane Taylor made her a wonderful black pillbox. Here is a link through to a wonderful blog post about this event. Previous Article The Princess Dress Coat in todays’ Telegraph. Great British Cover-ups!